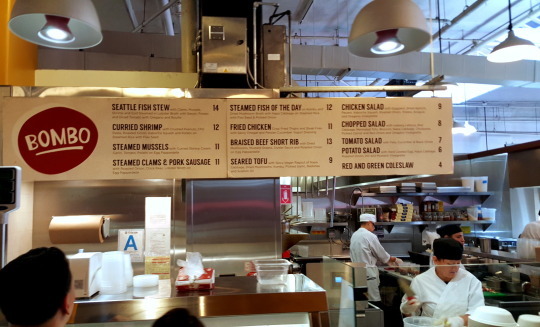 My visit to the Grand Central Market in Downtown Los Angeles was to dine at Bombo; Chef Mark Peel’s newest restaurant venture, which is a combined seafood market and casual seafood eatery. It was nice to see him back in the kitchen again since he closed the beloved Campanile; a restaurant that led the comfort food movement in the Los Angeles area for some 20+ years. It seemed rather strange to see Chef Peel at Bombo stripped without the many layers of kitchen staff, formidable dining settings, and posh clientele. To me, he was like the commander of his kitchen army at the prestigious Campanile. Bombo, on the other hand, gave me the opportunity to really see this esteemed chef at work in front of me, cooking our food in a very casual, diner set-up. 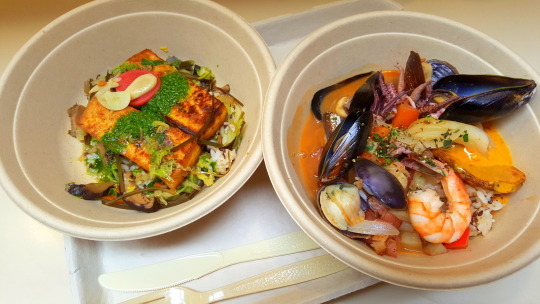 At Bombo, it is all about fresh seafood dishes nestled around seasonal ingredients cooked in cooking vessels are steam kettles called bombo. Anyway, the Seattle Fish Stew (sort of like a Bouillabaisse) was remarkable especially the burst of flavor Rouille sauce that accompanied it. Loved this dish! 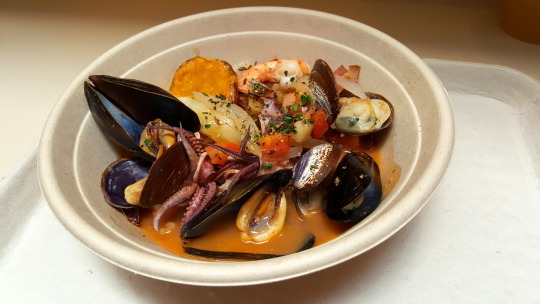 I found it very light thoroughfare with just the right amount of seafood like mussels, clams, shrimp, cod, and calamari. At the very bottom of the bowl was rice. I had wished there was more of it to sop up the juices. I also had wished I had a glass of white wine to finish off the last bite in my bowl. 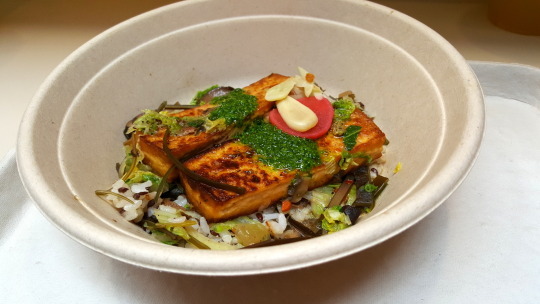 I then moved onto the Seared Tofu dish, because I was curious to know more about the only vegan item on the menu. This, too, was an excellent dish. The tofu was dusted with cumin layered with a napa cabbage raggout accompanied with steamed rice. Soft, delicate flavors. Chef Peel may have looked like (pardon the pun) a fish out of water at The Grand Central Market, but I was wrong in making this assumption after dining at Bombo. 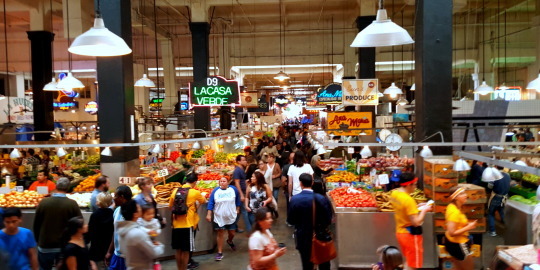 The reality was, he and his new restaurant Bombo are what diners needed for healthier food options at The Grand Central Market.